The big talk on the Outer Banks right now is all about #NotTheAnswer or #NotTheAnswerNC or #KilltheDrill. 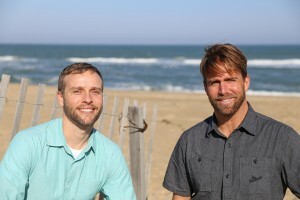 I have been a member of the Surfrider Foundation for over 15 years now and remain active with our local Outer Banks Chapter (http://outerbanks.surfrider.org; and check out their Facebook page). They are making a lot of noise and making national news by saying no to offshore drilling off the coast of NC. They started a “Clean Beaches = Healthy Businesses” campaign a few years back but since there wasn’t a real risk of offshore drilling being a reality, it didn’t gain too much momentum or press. However, that has significantly changed over the past couple months since Obama agreed to open up federal waters for leasing of off shore plots to oil & gas companies to drill. The local Surfrider Chapter has really stepped up to this challenge of saying NO and many in the community are agreeing. You see sign marquees of many businesses saying in various ways “to keep our beaches clean” or “say no to big oil”. The main argument that many are saying is economics – we have proven data on tourism money compared to the numbers that we are being told that offshore drilling will bring to our economy. 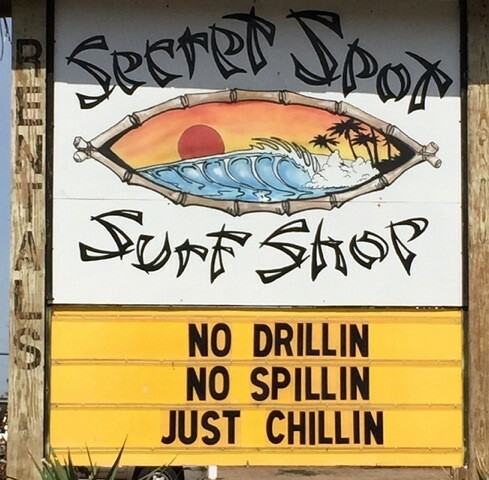 One spill, or even just the stigma related to offshore drilling, can negatively impact our tourist economy which is what most locals make their living from. One spill, think the Gulf Coast, can stop tourism which will kill our local economy. We can not afford to allow this to happen. 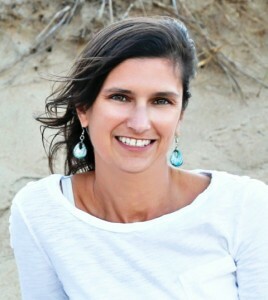 It also isn’t just a “not in my backyard” stand, it is also about protecting and conserving our coastline which is vital to our lifestyle; about having policies that encourage conservation; have improved energy efficiency and incentives and policies going to renewable or alternative sources for energy for future generations. This battle is just beginning and you don’t just have to love the Outer Banks to get on board to help. This concern is all along the eastern seaboard. You can start by letting the Bureau of Ocean Energy Management (BOEM) know that they need to protect our coasts from not expanding offshore drilling to the Atlantic. Click here to comment. Tell them to drop offshore drilling in the Atlantic from their five year oil and gas leasing program. Also, let Congress know as well. You can use this Surfrider link to do so. We had record numbers at the public comment meeting here on March 16 where at least 670 people came to speak out and show their support against drilling. More voices need to continue to be heard! The deadline is March 30, so make your comment personal as to why you do not want this to happen, before it may be too late. A home on the beach exudes a certain appeal unlike any other, and Outer Banks real estate offers some of the most beautiful beachfront properties you will ever see. In the midst of work demands, family conflicts, and fatigue, it is easy to imagine yourself relaxing on the front porch of your oceanfront home, sipping a cool drink, and breathing in the fresh salt air. If this dream sounds too good to be true, think again! If you have ever considered purchasing a home on the Outer Banks, now is the time to make that dream a reality. The economy is turning around. The economy has just experienced a significant recession, but now it has turned. Unemployment rates are falling, desirable jobs can be found more easily, and most people feel more stable financially. As financial pressures ease and the economy begins supporting positive gains, it will be more feasible to find an affordable home that meets your expectations. Foreclosures for sale. The economic downturn meant that many people were not able to make the payments on their homes. These homes went into foreclosure and can now be purchased for a fraction of the original cost. Many Outer Banks homes have reached the lowest prices realtors have seen, and they may not ever be this low again. You can benefit from these low prices by acting now to get a wonderful deal on a luxurious island home. Lower property taxes than many other resort areas. Many resort areas have notoriously high property taxes, creating a financial burden for people seeking to own a home there. The Outer Banks, however, has lower property taxes than many other coastal resort markets, meaning that you can own and maintain a property in the Outer Banks much more affordably than you could elsewhere. Low interest rates. Interest rates can sometimes make or break a sale. Right now, interest rates continue to remain at historically low rates. These low rates drive the current buyer’s market and make it easy to purchase a home. You can get an attractive interest rate even on a large loan, meaning that the home you want to buy may be more affordable than you thought. Year-round activities. The Outer Banks boasts some of the best fishing, hunting, and water sports recreation you’ll find on the East Coast. But don’t think of it as a summer destination only. During the fall, you’ll enjoy balmy weather, fewer crowds, and some of the Outer Banks’ best cultural offerings. In addition, the water is still warm enough for swimming, while chilly evenings allow for a crackling fire in the fireplace. If you’re considering a Christmas visit, you won’t be disappointed! The Outer Banks holiday calendar is chock full of festive, family-friendly events. Enjoy twinkling Christmas lights, attend the First Flight celebration, indulge in island Christmas shopping, and visit Santa at some of the area parades or special events. And of course, spring offers many attractions as well, giving you the opportunity to relish the beauty of nature before the summer tourist season begins. A dream isn’t just a wish your heart makes; it also requires some effort to make it a reality. 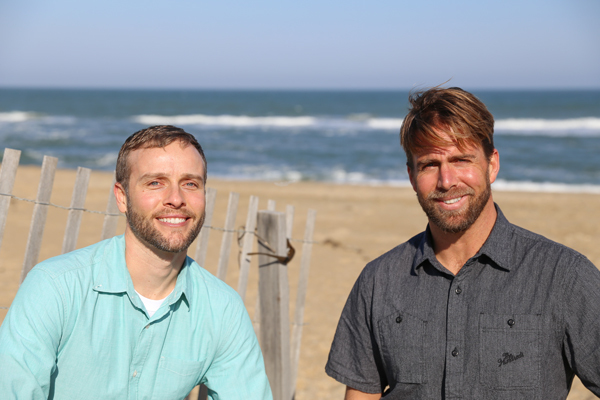 Your first step in purchasing your Outer Banks dream home should be to talk with a realtor about your options. Whether you’re looking for a small, low-cost home where you can put your feet up in the evenings after a day in the sun or a luxurious coastal home designed for entertaining and relaxation, your realtor will show you a variety of options that fit your needs and price expectations. Once you know what homes are available, you can visit them to gain a better feel for the islands and for the houses themselves. Your realtor can help you research tax records, interest rates, available foreclosures and area attractions that may influence your buying decision. Whether your ideal island getaway includes a full schedule of activities or whether you plan to spend your days lounging on the beach, your home will serve as the staging ground for many years of memories and relaxation. Low prices and interest rates combined with a favorable economy mean that you have more purchasing power now than you may see again for many years. If you’ve been longing for a home at the Outer Banks, now is the time to make that dream a reality. Your beach home is waiting! As we approach the 2015 spring selling season here on the Outer Banks, it’s the perfect time to take a look at the overall health of the real estate market. Where have we been and where may we be going? Since the single-family homes make up 65% to 75% of our annual unit sales and 75% to 85% of our annual dollar sales volume, this article will only be referencing single-family homes from Carova to Ocracoke, including Colington and Roanoke Islands. All data is taken from the MLS of the Outer Banks Association of REALTORS. Over the past 5 years, the annual number of sales has increased 11% (up from 1,029 in 2010 to 1,143 in 2014). The average active inventory in that same period has decreased 12% (down from 1,544 in 2010 to 1,358 in 2014). This constitutes a 21% improvement in our absorption rate which is the time it takes to deplete the current inventory at the current sales rate. In 2010, our average absorption rate was 18 months. In 2014, that number improved to 14.3 months. Simple economics would tell you that an improving absorption rate would warrant upward pressure on sales prices. See the chart below for the average price per square foot (blue line) versus the number of annual sales (red line). There has only been a very modest gain in pricing since the low in 2011. That is an average of 1.4% annual appreciation. I would call [even] this small gain a victory after 6 years of 5% – 15% annual declines. The fact that the prices are slowly and steadily increasing is reassuring that we do not get into a “bubble” situation as we did prior to the peak in 2005. It also appears that sellers are getting closer to what they are asking in 2014. I would attribute some of this to the sellers pricing accordingly on the front side, but also to buyers’ willingness to pay more for the property as our market has shown signs of strength. 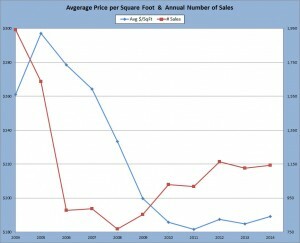 The average sold price / ask price ratio in 2009 was 93.2% when the foreclosures and short sales were peaking. In 2014, that ratio had risen to 95%. That is an average of $7,500 more in seller net proeeds!! 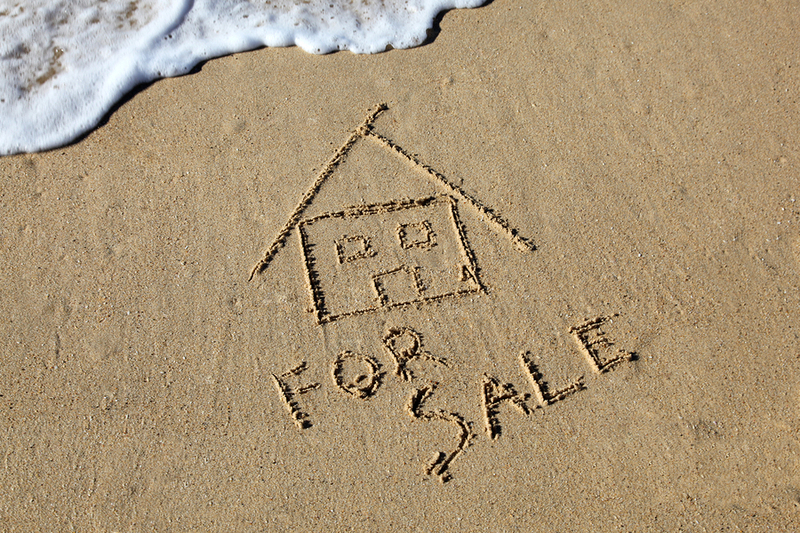 With the Outer Banks current market conditions, it makes a great time to both buy or sell. As a buyer, you can take advantage of relatively low pricing, strong rental income and very low interest rates that can be locked in over the life of ownership. As rents and prices rise, the mortgage stays the same, only increasing return on the investment. As a seller, you have a stronger command over your price, especially when you have strong rental income to justify the buyers’ investment.